Twin Peaks has entertained, frustrated, and challenged generations of viewers - and will continue to do so when it returns in 2016. Once you fall under its spell, the presence of this moody, mysterious world is hard to shake. I created Journey Through Twin Peaks as a companion for all kinds of Twin Peaks fans: the passionate enthusiast, always looking for new clues and avenues; the veteran viewer, who hasn't seen the show in years but is considering a re-visit; the enthusiastic newcomer, fresh from a first viewing and bursting with questions; and even the curious outsider, ready to take a first trip into these dark woods. Each chapter avoids plot spoilers for upcoming episodes, but you should check my descriptions and spoiler warnings just to be on the safe side. 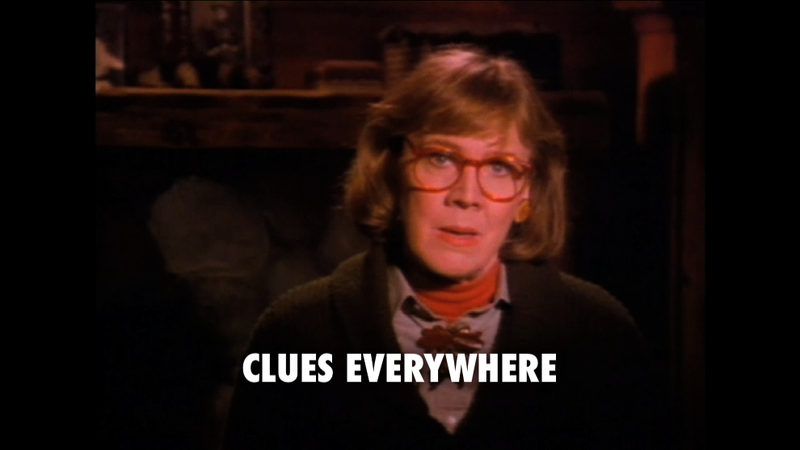 If you don't want to know anything about the narrative shape of the story - if/when the mystery ends, who/what the film is about - don't scroll beyond the episodes you've seen. I would love to hear feedback from anyone who watches these videos alongside their first viewing of Twin Peaks; however, there's also something to be said for flying blind. I had no idea what I was getting into when I pressed play on that first disc years ago, and have been reeling from the aftershocks ever since. Journey Through Twin Peaks analyzes the Twin Peaks narrative in chronological order, from pilot to feature film (with occasional character/subject asides that look back but not forward). You can break it into installments, watching each chapter as it becomes relevant to your own journey. 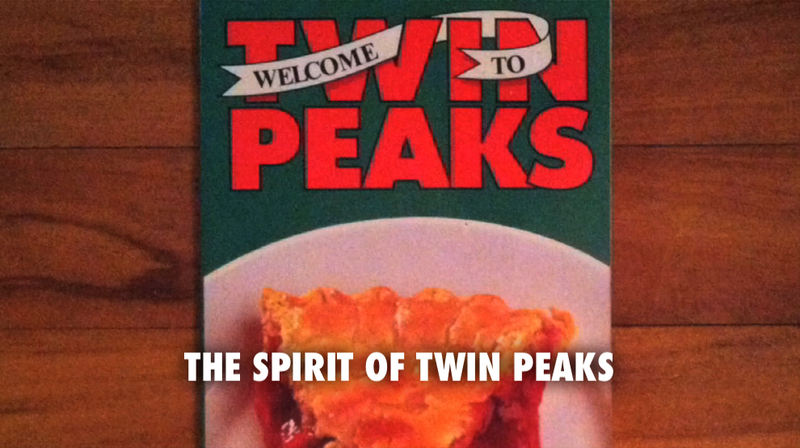 Or you can jump directly into the chapters that interest you most - "The Twin Peaks Mythology" and "7 Facts About Fire Walk With Me" have proved particularly popular as standalones. Some have also marathoned the videos immediately after finishing Twin Peaks, treating them as a lengthy documentary epilogue. "What did I just see?" is a pretty common response to a first - or even second, third, fourth - viewing of the show and film. I've asked that myself many times, which is how this project came to be. The first Twin Peaks cycle was born an acclaimed television phenomenon and died a reviled box-office flop. In between, David Lynch's and Mark Frost's visions sharply diverged, on everything from the central mystery to Cooper's character - they even disagreed on what the show was fundamentally about. 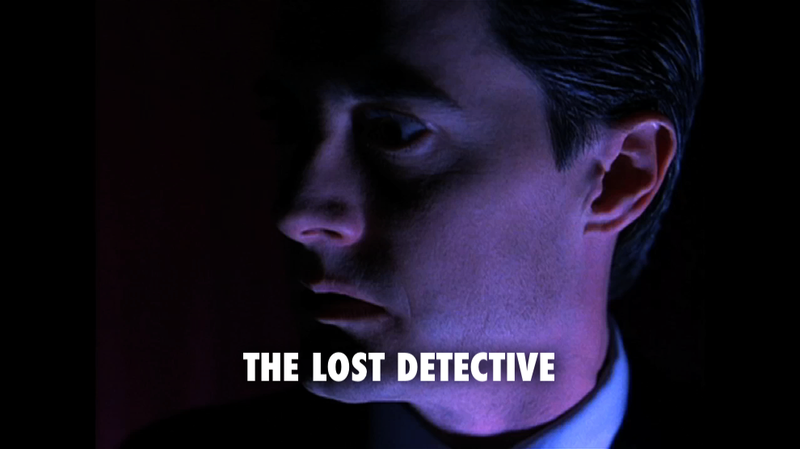 These videos do visit the creative differences between Lynch and Frost, and touch on the larger context of Twin Peaks' reversal of fortune (a subject explored more extensively elsewhere on this blog), but their primary purpose is to reveal the series and film, together, as a complete, effective work of art. Despite the detours, dead ends, and disagreements involved in its making, Twin Peaks is not simply the failed experiment that media narratives lead us to believe. 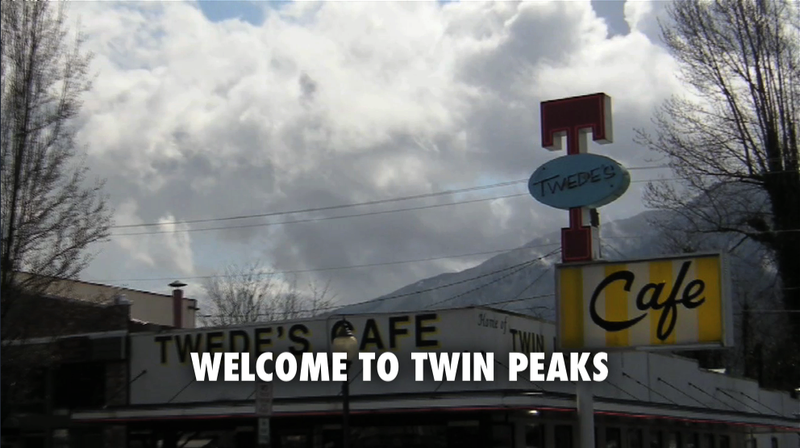 Journey Through Twin Peaks is divided into twenty-eight chapters, each running between four and fourteen minutes. Titles link to the YouTube in case you have trouble opening full-screen on this page. If you'd prefer to watch it in bigger chunks, four long videos are presented at the end of this line-up. There is also a playlist available on YouTube. 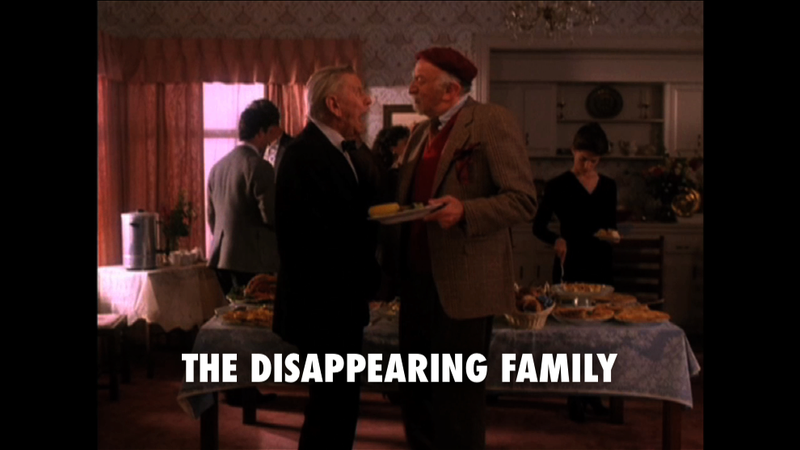 Serving as a general introduction to Twin Peaks, this one chapter can be watched even by someone who has never seen the show. Establishing the various tones of the series, ranging from soap opera to horror film to avant-garde art piece, we ask if it all adds up. 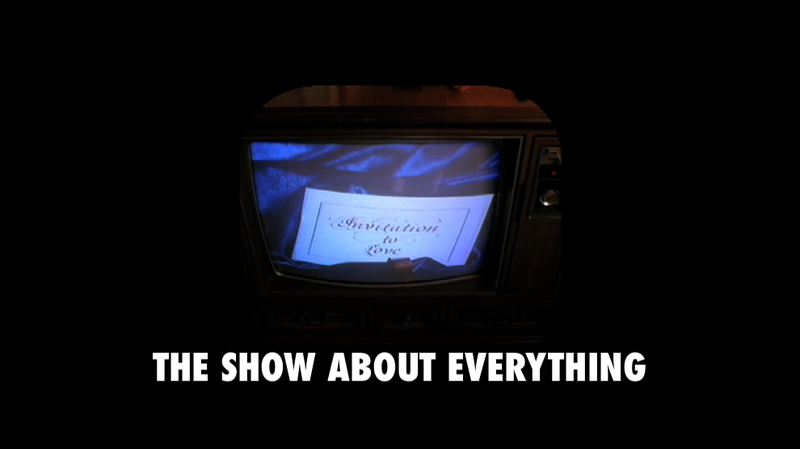 Is Twin Peaks about nothing, everything, or something else entirely? Just for fun, take a close look at the young man in the "melodrama" clip (from Peyton Place). Does he look or sound familiar? How about if he was wearing red/blue lenses? 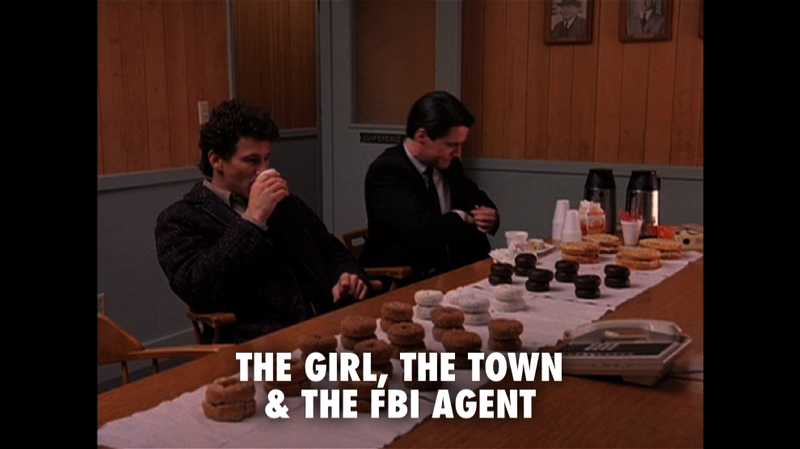 Perfectly mixing atmosphere and precision, David Lynch and Mark Frost set up the three primary elements of Twin Peaks: Laura Palmer, the town of Twin Peaks, and Agent Cooper. This chapter explores the dramatic function and thematic importance of each element in turn. 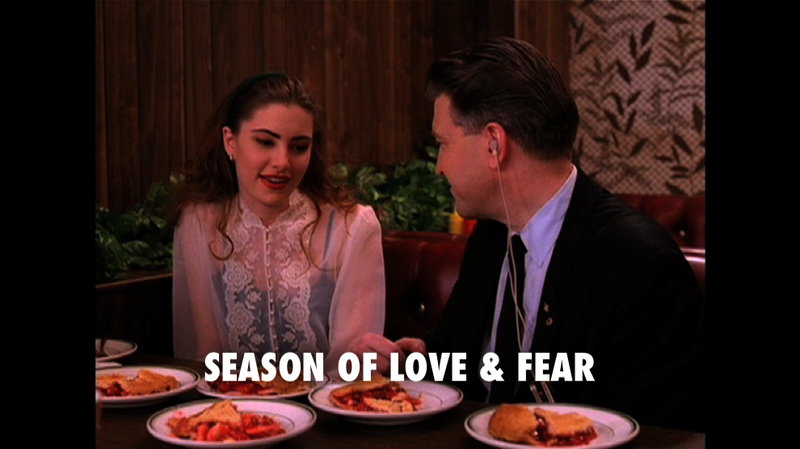 As the first season gets underway, the show establishes a more relaxed, light-hearted mood than the pilot, but maintains the intense atmosphere cultivated by Laura Palmer's death. Cooper gets the hang of the town, has a strange dream, and attends Laura's funeral. No spoilers for future episodes, but fair warning: I use the "official" numbering for the episodes, which means episode 1 is really the pilot + 1, episode 2 the pilot + 2, etc. This is the DVD/blu-ray approach but it is not shared by Netflix and some other resources. So be sure to know which system you're using before proceeding. Cooper is not the only person investigating Laura's murder; each character's search for the killer reflects his/her own needs and interests. Did Laura's death result from criminal connections, spiritual forces, psychological troubles, or social entanglements? Mark Frost was largely responsible for these episodes, with their tight pacing and deft intersection of numerous storylines. Season two starts slooowly, as David Lynch insists on patience and reminds us of the violence at the story's core. Many critics and viewers were turned off by the show's new direction, and this is where Twin Peaks ceased to be a pop culture phenomenon. Yet this two-hour event also contains some of the series' most memorable moments and boldly declares that its central mystery is about to become deeper, darker, and stranger than anyone imagined. 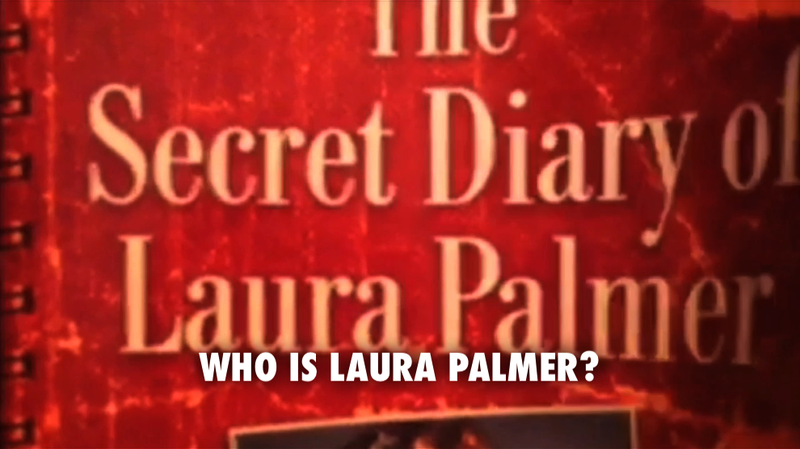 Chapter 6 - Who is Laura Palmer? 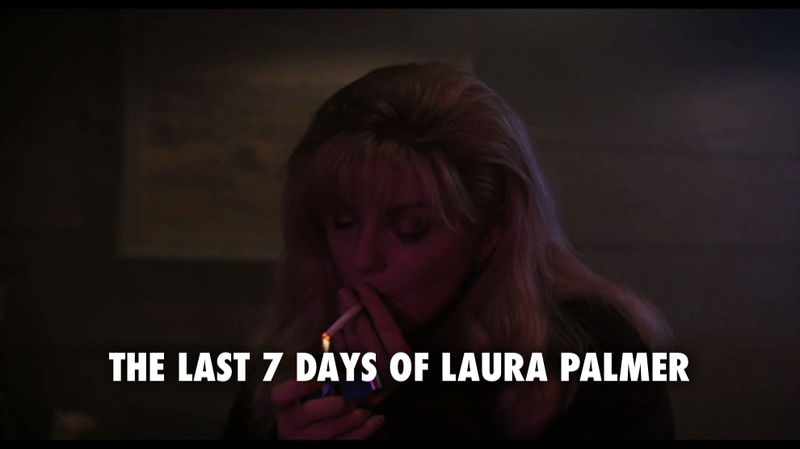 After abandoning a screenplay about Marilyn Monroe, David Lynch and Mark Frost conceived fallen homecoming queen Laura Palmer as a way into the world of Twin Peaks. When they cast a bit player in this crucial role, they were only looking for a corpse. But Sheryl Lee's screen presence convinced them to offer her a new part: cousin Maddy. This chapter also compares Laura's mystery with the classic films Laura and Vertigo, and examines The Secret Diary of Laura Palmer, a spin-off novel written by Jennifer Lynch. 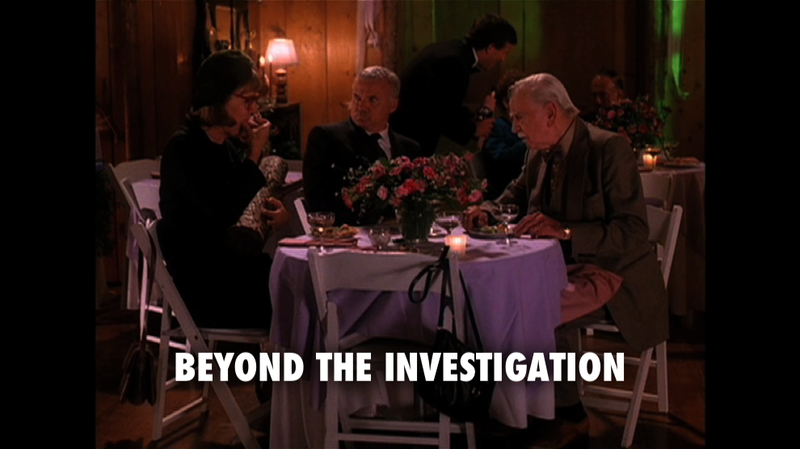 Laura's importance to Twin Peaks grows as her friends search for clues in her secret diary. Meanwhile Cooper is distracted from the increasingly surreal, otherworldly investigation by Audrey's dangerous predicament. 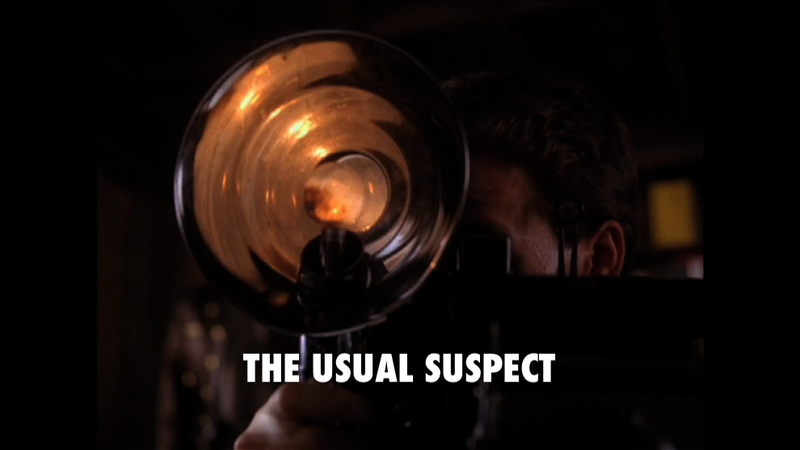 The pace of the investigation picks up as it nears its conclusion and draws attention to a particular suspect. Characters arrive and depart in dramatic fashion, including comical cameos, elaborate disguises, and tragic farewells. Subtle hints come to fruition as the series implicitly reveals who killed Laura Palmer. We explore all the ramifications of that dramatic revelation, as well as how David Lynch's and Mark Frost's early work led to this big scene. This chapter opens with a montage of chilling images from Twin Peaks set to W.B. Yeats' hauntingly appropriate poem "The Second Coming." Cooper's investigation reaches its climax in dramatic fashion. In turn, we examine the disappointing, rewarding, and promising aspects of this conclusion. CHAPTER 10 IS TEMPORARILY DOWN BUT SHOULD BE RESTORED BY MID-APRIL; UNTIL THEN YIU CAN VIDW ITS CONTENTS AT 35:30 IN THE VIMEO UPLOAD OF PART 3. With Laura's murder mystery resolved, the show must find a new way to incorporate both Laura's memory and her parents' grief, elements crucial to the plot so far. Another townsperson dies and the community gathers at a wake, launching the show in a new direction. We survey the colorful cast of characters through the first half of the show, recapping storylines which can move from the background to the foreground now that Twin Peaks' central plot has ended. In the middle of season two, the show drifts through a series of weak subplots and disappointing character changes. What are the specifics of this widely-recognized slump - where has the show gone wrong? 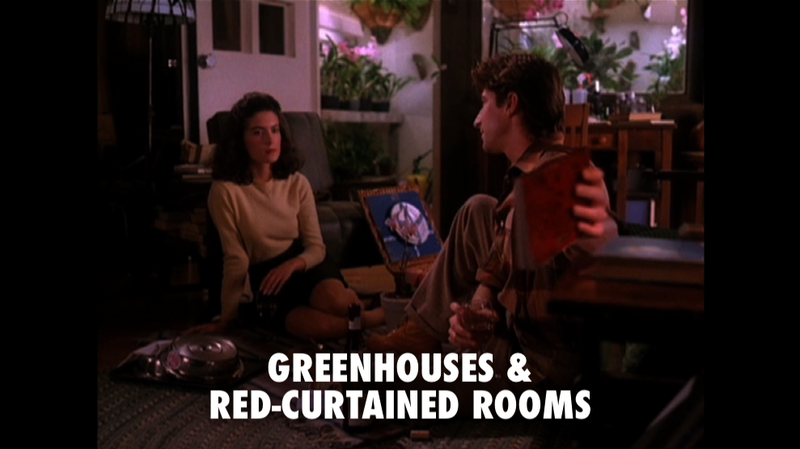 Taking a step back from Twin Peaks' mid-season crisis, we explore the show's many alluring elements (including a look at the 2014 Atmospheric montages), the phenomenal success ignited during the first season, the campaign to bring Twin Peaks back when it was almost cancelled, and new spin-offs from the spring of 1991, including the playful, affectionate Access Guide: a mock tour book for the fictional town. 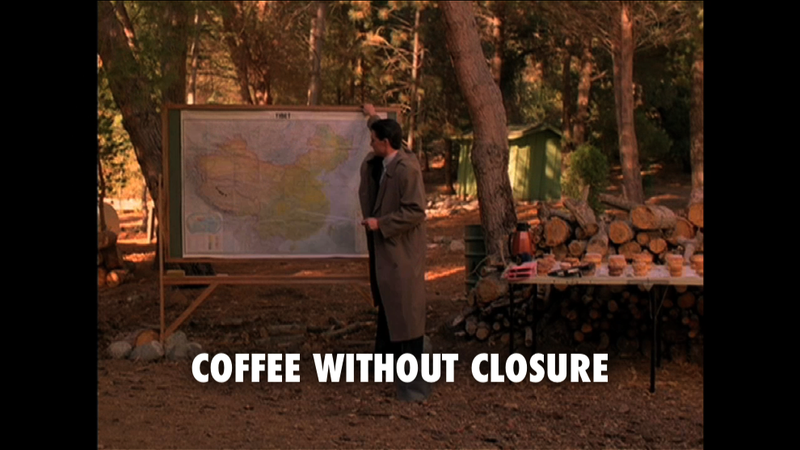 Although Lynch favored Laura and Frost was more fascinated by the town itself, the two creators coincided in their devotion to Agent Cooper. 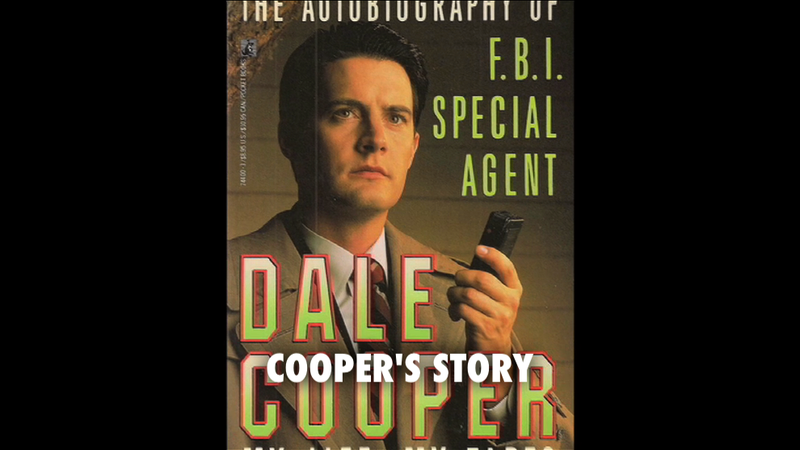 But they differed in their conception of the hero, and this chapter follows the protagonist's arc through the middle of season two, including the backstory revealed in Scott Frost's spin-off novel The Autobiography of Agent Dale Cooper: My Life, My Tapes. Season two finally picks up steam as Mark Frost restores tension, unity, and momentum to the previously meandering narrative (while David Lynch brings some unforgettable comedy). This is Twin Peaks' sunniest stretch, even if it ends with foreboding images. 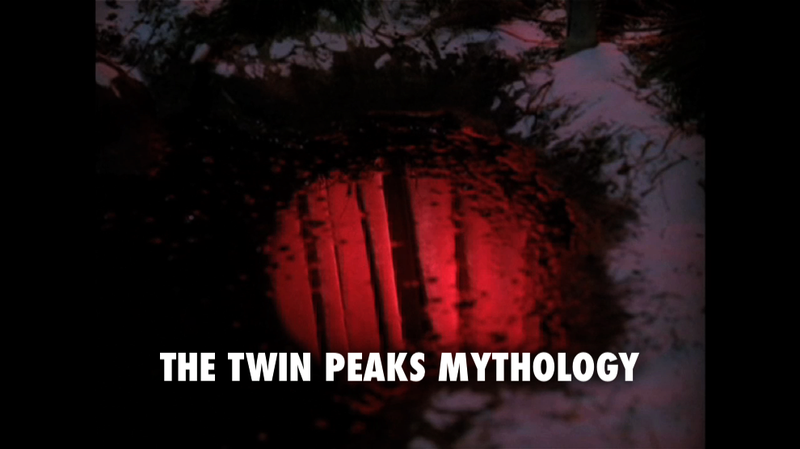 In the most thematically and visually ambitious chapter of the series, we investigate how Twin Peaks' distinctive mythology developed from two sources. David Lynch spontaneously conjured surreal characters for the 20-minute alternate ending of the pilot and the first few scenes of the premiere and follow-up in the second season. And Mark Frost sought to establish a larger cosmic struggle at work in this world, drawing on themes and motifs from Theosophy, the nineteenth-century spiritual movement. 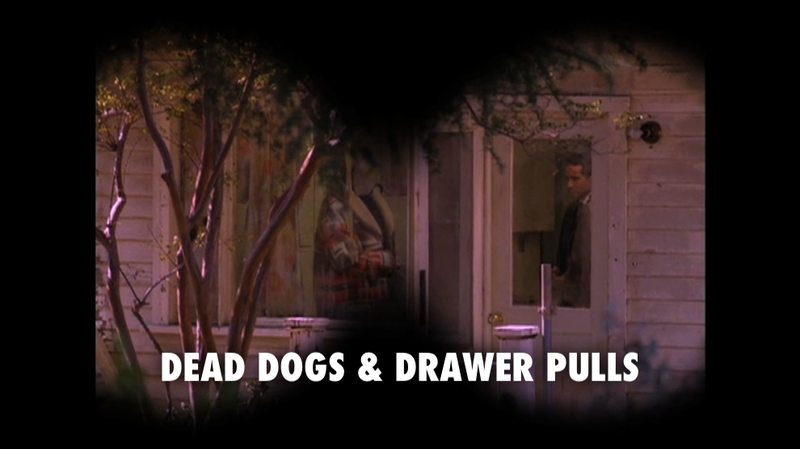 Most notably, Twin Peaks puts its own spin on the concepts of the dugpa, the Lodges, and the dweller on the threshold. But until the end of season two, Lynch's images and Frost's concepts do not seem to overlap. Written, produced, and later presented as two separate episodes, these were originally aired back-to-back as a movie-of-the-week. 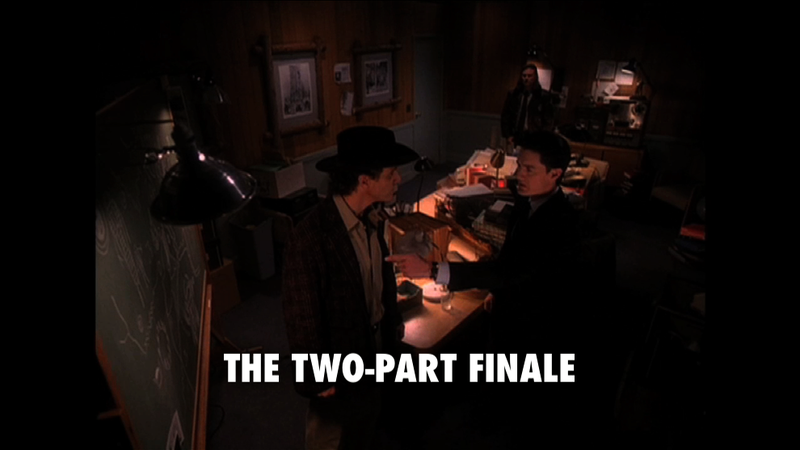 Taken together, this "two-part finale" reveals where the show went wrong as well as David Lynch's ability to get it back on track. His direction of the final episode is contrasted with his more subdued approach in the pilot, and his desire to remind us of Twin Peaks' past is revealed through changes to the script. 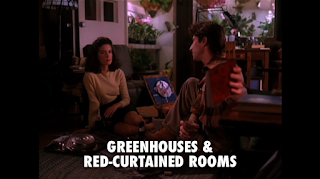 The series comes to a harrowing conclusion in its final sequences, fulfilling both Cooper's character development and the Theosophical themes of the second season (even though Lynch departed dramatically from the script). 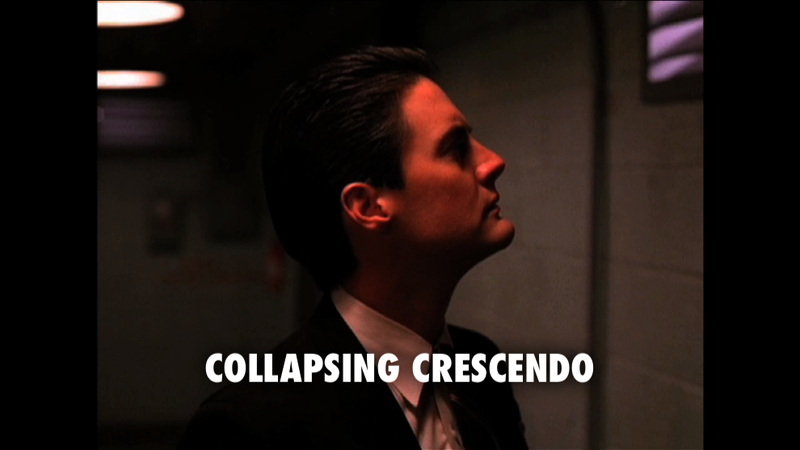 This chapter ends with the production and reception of the prequel film, which threatened to end Twin Peaks with a whimper. In fact, it does just the opposite. 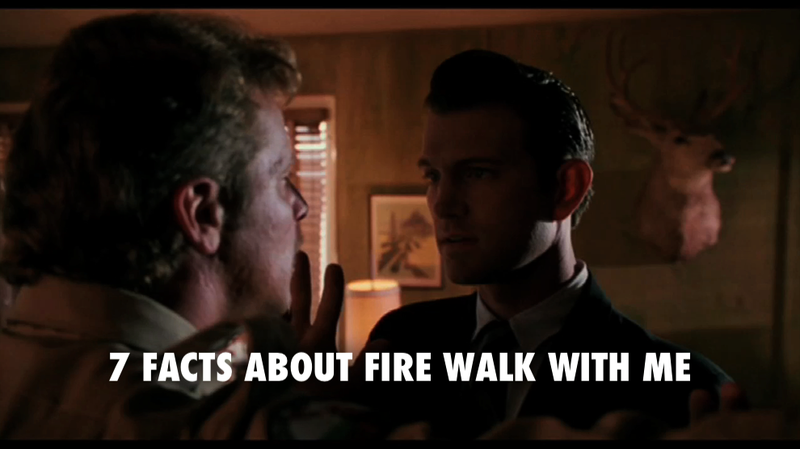 Opening with a very astute observation by author Judith Guest in 1990, we flash forward two years to establish the themes and approach of Fire Walk With Me during an opening montage and a quick survey of its controversy. 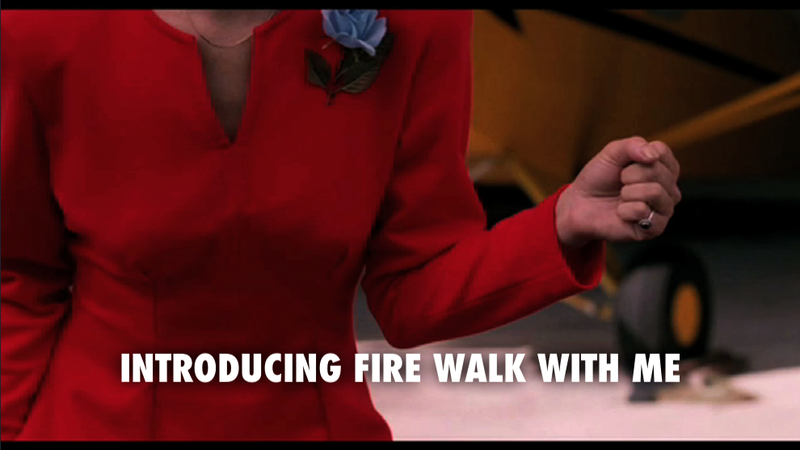 There are many reasons why Fire Walk With Me is both beloved and reviled, but these are among the most important. 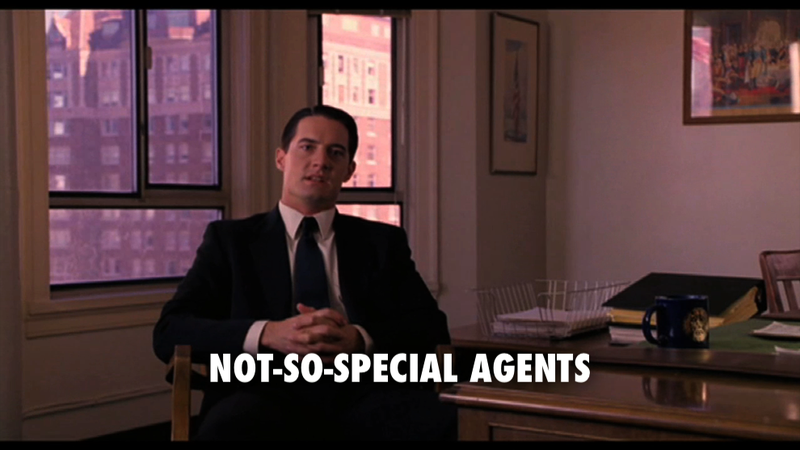 After establishing the FBI in the series (especially Agent Cooper) as wacky but reliable, David Lynch demolishes their authority in the opening section of Fire Walk With Me. We also begin to explore the true significance of Teresa Banks' widely misunderstood ring, as well as John Thorne's "dreams of Deer Meadow" theory. 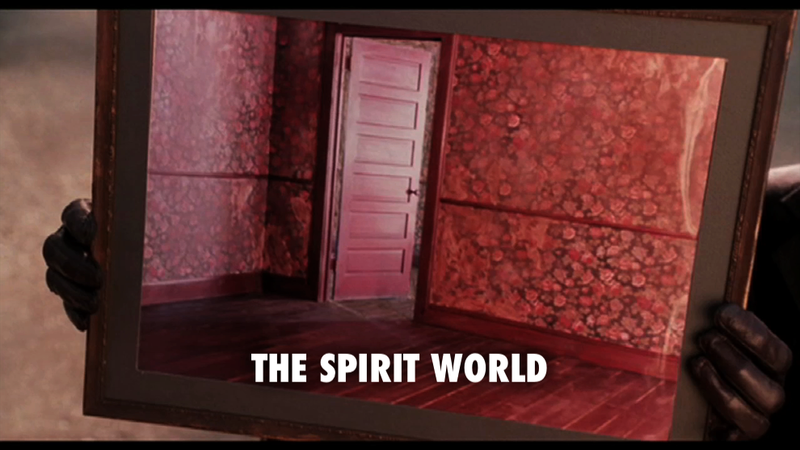 Stopping briefly in the doppelganger village of Deer Meadow and the deceptively sunny Twin Peaks, we proceed to the true "location" of Fire Walk With Me: the spirit world, stocked with Lynchian touchstones that had mostly disappeared from the second half of the series. Surprisingly, the phrase "Black Lodge" never appears in the film; instead David Lynch presents ambiguous interaction between the human and spirit realms. Despite some subtle overlap with Mark Frost's Theosophical concepts, this version of the series mythology points in its own unique direction. Fire Walk With Me resembles a series of painterly studies of Laura Palmer, but it also tells the story of her personal growth. Structured like Fellini's La Dolce Vita, her seven-days-and-nights spiritual odyssey leads us to discover what a rich character this "dead girl" has become. Early in Fire Walk With Me, Laura tells us "the angels have all gone away." If you've seen the opening minutes of Twin Peaks then you already know how this story will end...or do you? This chapter, my favorite, explores how Lynch reinvents the tragic death of Laura Palmer to give the Twin Peaks cycle its ambiguous, enigmatic, but deeply moving conclusion. Sheryl Lee's role in this transformation is also examined, through the deep impression she left on the film's crew. For two decades, David Lynch kept returning to Twin Peaks, retrofitting the messy project as a holistic work of art and emphasizing Laura Palmer at its core. This chapter also explores how The Missing Pieces (90 minutes of deleted footage from Fire Walk With Me, released in 2014) fits into the overall saga. By departing from David Lynch's original plan for a neverending mystery, Twin Peaks challenged and deepened Lynch's approach as an artist and its influence can be felt in all his later films. The chapter concludes with a fascinating parallel between Inland Empire and the making of Fire Walk With Me. Through the story of a deceptively casual detour into this moody, mysterious locale, we hear Twin Peaks' siren song one last time. Finally, we address those lingering questions established in the preview of the series... Is David Lynch the primary creative force behind Twin Peaks? Does Twin Peaks have "nothing at all in its pretty little head except for the desire to please"? Does Twin Peaks really care who killed Laura Palmer? 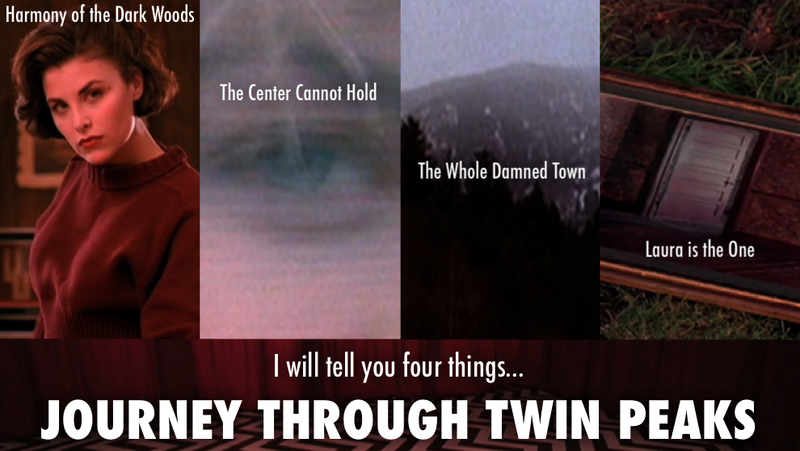 Although Journey Through Twin Peaks concludes with the previous chapter, you may want to continue with this video, created last year as part of a "David Lynch Month" in which I studied the director's entire filmography. Take This Baby and Deliver It to Death (title inspired by a passage from The Secret Diary of Laura Palmer) is a non-narrated 23-minute video essay that examines Lynch's evolving treatment of trauma and repression in his early work. 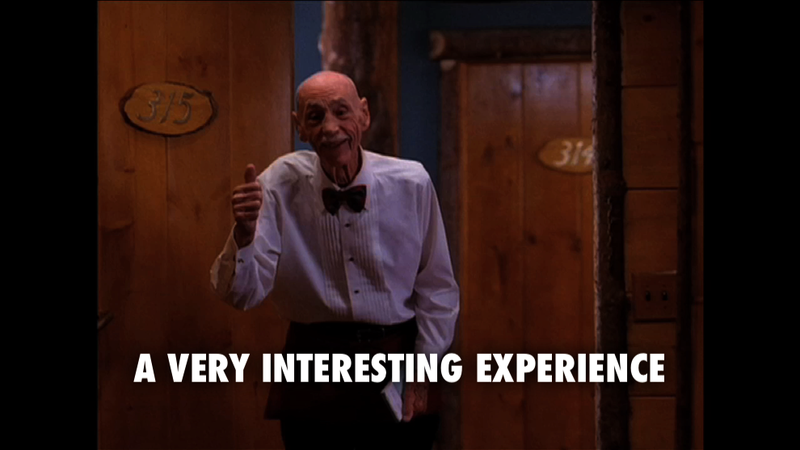 I must first say, “Thank you!” I have, thoroughly, enjoyed Journey Through Twin Peaks. Your critical analysis, your writing skills, your editing and production skills are a joy to experience. I especially love how they complement a work like Twin Peaks. Lately, I tend to work late at night/early in the morning. Late last year, after hearing of Twin Peaks’ return to television, I took a break from work and started researching Twin Peaks, once again. Through this “research,” I found your blog and I am so happy that I did. Recently, I finished watching the entire production and it was wonderful to watch. I am forwarding it to my friends, fellow Twin Peaks’ fans and I cannot wait to hear their thoughts of your work. During this process, I found myself re-watching the entire first part, again; I will not be surprised if a full re-watch is in my future. Thank you for your great insights, your wonderful production values, and, obviously, your passion for what David Lynch and Mark Frost created, back in 1989. I remember watching the program, for the first time, and thinking, “This is something different; I have to see this.” Journey Through Twin Peaks resurrects the joy of watching great material and complements Twin Peaks, perfectly. Thank you for this. It's truly outstanding. I'm a new fan of Twin Peaks, but devouring Journey through Twin Peaks has been such a great way to round out the experience. Each episode is so well crafted and so informative, thank you so much for taking the time to produce this.The end of Chapter 27 is particularly haunting and I'm glad to have seen it. Looking forward to whatever 2016 brings us. Take care and once again thank you. Thank you both for the compliments. Blogging (or just generally writing/creating without any official sort of platform) can be both a rewarding and lonely/frustrating endeavor and one of the most fruitful aspects of Journey Through Twin Peaks for me has been the enthusiastic feedback. Although the audience is relative small, the quality-to-quantity ratio of viewers is staggering to me and, I think, a testament to Twin Peaks fans who do not passively consume anything haha. Dylan, thanks for forwarding it to others - as I've said numerous times (like a broken, Palmer-house record) that's the only way it will spread so I love that people are sharing it! Anon, hope you get around to registering for World of Blue. That site has proven a godsend to me and I can honestly say many parts of the series would have been impossible without it. I've had some positive and negative experiences discussing Twin Peaks online (the worst was a blu-ray forum where may idea that the Missing Pieces could work as a bridge between series & film was treated as some sort of blasphemous apostasy). Dugpa has been pretty much entirely positive. Tons of different viewpoints and approaches to the series/film but they all seem to feed off of one another. Honestly, before getting back into Twin Peaks I was never really a "fan" sort of person; I kind of regarded that sort of category with a bit of skepticism for several reasons (and no wonder: a lot of fan communities behave abominally; while I'm no great admirer of the prequels, the scorn that Star Wars fans heap on Lucas really turns me off). I was a little slow getting into the forums and communities online for Twin Peaks last year, but I'm really glad I eventually did. There's such a diversity and intelligence to Twin Peaks fans ( guess because there's diversity and intelligence to Twin Peaks itself) that makes the intercommunication really fruitful. At least the ones on Dugpa anyway! 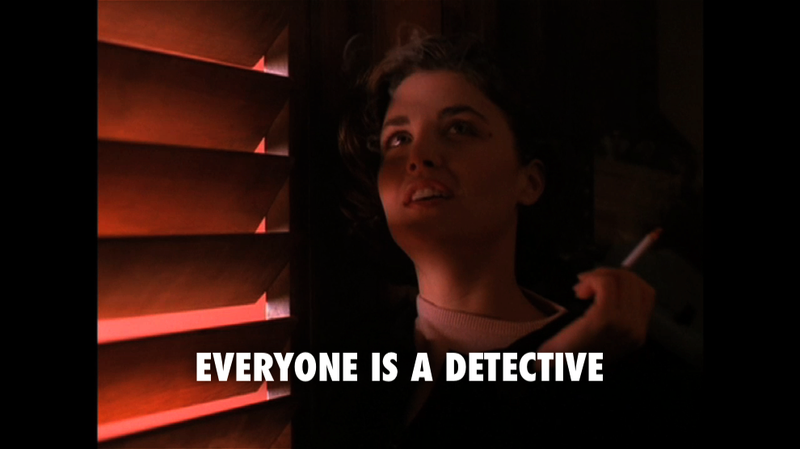 Thank you so much for providing the Twin Peaks community with this detailed and unbiased analysis. I enjoyed it immensely and learned a lot about the world David Lynch and Mark Frost created. The show definitely has a touching complexity to it - and even though it was only 2 seasons and a prequel long, it managed to draw me into its world like no other show has ever done. The way you have edited the videos and analysed the texts is outstanding, and made it very enjoyable and extremely informative to watch. Thank you again and I cannot wait for 2016! Thanks! It seems like more and more people are discovering them & sharing them (which is great as word of mouth seems to be the main fuel for them, alongside YT search results/recommended videos) the closer it gets to the new series. It will be so interesting to see how the new show follows and completely departs from what came before! I'm looking forward to a new batch of videos to address that. Really great to hear back from viewers and thanks again for watching! Thanks for the excellent videos and detailed analysis! I'm watching them as i make my way through the fantastic blu-ray set (along with listening to a few TP podcasts, including Twin Peaks Unwrapped, on which i've enjoyed your appearances) and they're an great way to keep the conversation going. Just one rather mundane question-- you say it's divided into 4 parts, but also say it's broken down into 28 chapters. So what is the correlation between the chapters the parts? Originally I edited the video in larger sections. Part 1 was created that way (I split the chapters into separate videos later), part 2 was cut in a out of order but released all at once and then starting with Part 3, I actually assembled and released each chapter individually.